Sheriff Andrew Cubie graduated with a First Class Honours degree from the University of Glasgow. He was a solicitor in private practice in Glasgow from 1987, specialising in civil court work, with emphasis on family law. He was appointed as a Temporary sheriff from 1997-1999. He was admitted as a Solicitor Advocate with rights of audience in the Court of Session in 2001. During his time in private practice he taught civil procedure at Strathclyde University and the Glasgow Graduate School of Law. He devised and taught an in-house course for the Scottish Legal Aid Board. Sheriff Cubie was appointed as a permanent Sheriff from 2003. Initially an all- Scotland Floating Sheriff, he was a resident Sheriff at Stirling from December 2004 to June 2010 when he moved to be one of the resident Sheriffs at Glasgow Sheriff Court. He has contributed regularly to judicial training and has lectured to, amongst others, local faculties, reporters to the children’s panel and medical professionals. He sits on the council of the Sheriffs’ Association and on the UK Judicial Pensions Committee. 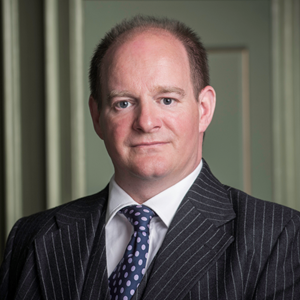 He has contributed articles to a number of publications including Scots Law Times, Scottish Criminal Law and Benchmark, the newsletter of the Judiciary of England and Wales. He contributed to MacPhail on Sheriff Court Practice in 2006. InSeptember 2010 his textbook on “Scots Criminal Law” was published. David has a wide ranging practice covering many different aspects of civil law. He is particularly strong in the areas of land law construction, trust work, general commercial work and contract. He has a keen interest in international commercial arbitration and has practical experience of various forms of alternative dispute resolution including arbitration, adjudication and mediation. He is a Fellow of the Chartered Institute of Arbitrators (FCIArb), holds Chartered Status and is a Board Member of the Faculty's Dispute Resolution Service. He has lectured in Arbitration in the Universities of Dundee, Dubai and Aberdeen and is peer appointed as an arbitrator onto many international panels. David has prosecuted in the High Court of Justiciary, appeared in Outer House and led as counsel in the Inner House. He has also appeared before the Sheriff Courts, before the sheriffs principal, the Scottish Land Court and the Scottish Lands Tribunal. David also has rights of audience in other jurisdictions having called to the English Bar (Lincoln's Inn) in 2009 where he is a member of Crown Office Chambers as well as the Bar of Northern Ireland in 2016. Since 2012, he has held the position of Director of Training and Education, being responsible for the training of intrants on the Faculty's 9 month training programme. We have 3 incredible guests giving expert advice for health professionals called to court. This first episode covers the structure of the legal courts, roles of the various legal professionals, and reasons to be called. What is a Procurator fiscal?